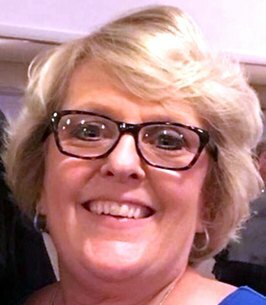 Jill Stalnaker Service Details - SHINNSTON, West Virginia | Harmer Funeral Home, Inc.
Jill Stalnaker, 59, of Lumberport passed away suddenly on Tuesday, October 30, 2018 at her residence. She was born August 1, 1959 to Bob and Marillyn (Williams) Harbert of Lumberport. On September 30, 1978, she married Chuck Stalnaker. She has two children, her daughter Kelly Walker and her husband Michael of Clarksburg and her son Jason Stalnaker and his wife Heather (McDonnell) Stalnaker of Shinnston. Jill also has two beautiful grandchildren that were her world, Jack Stalnaker and Eliza Grace Walker. Jill also has one brother, Blake Harbert and his wife Gail Harbert and her nephew, Jonathan Harbert of Columbus, OH; Jill was blessed with many other nieces, nephews, great-nieces and nephews, a brother-in law and sisters-in law. Jill graduated from Lumberport High School in 1977. For the past 25 years, she has been employed at the Harrison County Health Department. She was an active member of Lumberport United Methodist Church where she served as treasurer and numerous other positions. She and Chuck enjoyed spending time together outdoors at their camp, at the lake, on their motorcycle with the Gold Wing Chapter B Club, and playing Bunko. She enjoyed being with family and friends. But more than anything else she absolutely loved being mamaw Jill. Friends will be received at the Harmer Funeral Home, 300 Pike St., Shinnston from 6:00 to 8:00 PM Thursday and 2:00 to 8:00 PM Friday. A funeral service will be at the funeral home at 11:00 AM Saturday, November 3, 2018 with Rev. Samuel Cale, IV officiating. Interment will follow at the Lion’s Club Cemetery, Lumberport. 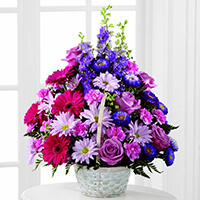 To send flowers to the family of Jill Stalnaker, please visit our Heartfelt Sympathies Store. We encourage you to share any memorable photos or stories about Jill. All tributes placed on and purchased through this memorial website will remain on in perpetuity for future generations. Kelly, I am so so sorry, I am absolutely in shock this is heart breaking, your Mom was one of the sweetest women I have ever met. I am so terribly sorry for your family's loss. My prayers are with you and your family. I’m so sorry to read of Jill’s passing. We went to school together and I recall she was always smiling. As time goes by and years pass we sometimes lose track of friends from our school days. Some of the saddest times are when we see a picture in the paper and you wish, I had taken the time to reach out and invite that person for coffee, but it’s all too late. Jill is just as lovely in the photo as she was in school. Please know that I will keep her family in my thoughts and prayers. I am so sorry for your loss. Thinking of your family. Deepest sympathies. So sorry for your loss. This is such a shock. I will keep the family in my thoughts and prayers. May God watch over you and help you through these hard times. 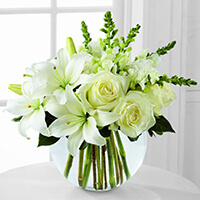 We share our warmest thoughts and sympathies for Jill's family and friends. Jill, we celebrate your love for life and family on this day. You'll be dearly missed. Rest in peace. So sorry for your loss. I was so shocked when I heard the news. My prayers are with you. Jill always had a smile on her face and such a wonderful person to talk too. God be with you all. Such a shock. Prayers for family. Keep smiling. This is such a shock to me. You will be missed I will miss seeing your bright sunny face everytime I open my FB and see how you light up over the new granddaughter. And messenging you. You were always so full of life and smiles. I remember growing up as neighbors and Blake use to tease you and get you crying.